Chicken Soup, Chicken Soup, a play—the story of a little girl with a Chinese grandma and a Jewish grandmother and delicious chicken soup. 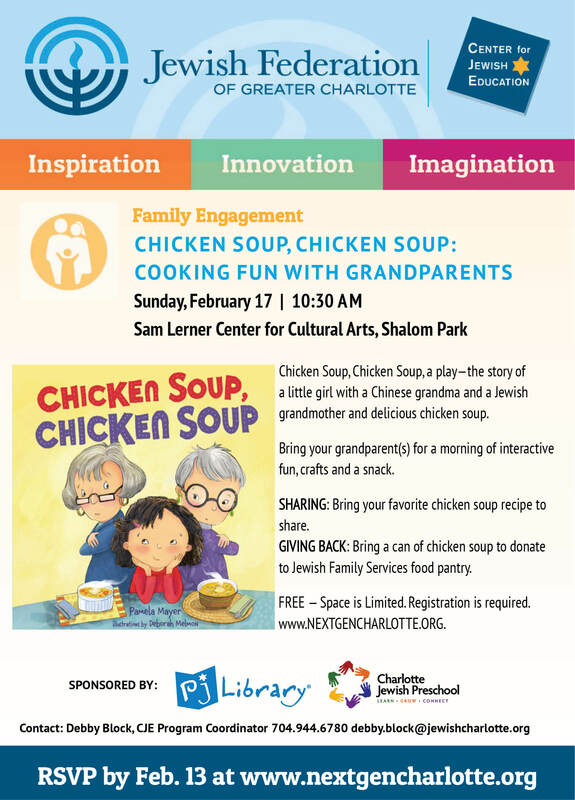 Bring your grandparent(s) for a morning of interactive fun, crafts and a snack. SHARING: Bring your favorite chicken soup recipe to share. GIVING BACK: Bring a can of chicken soup to donate to Jewish Family Services food pantry. THIS EVENT IS FREE — However, Space is Limited. Registration is required.